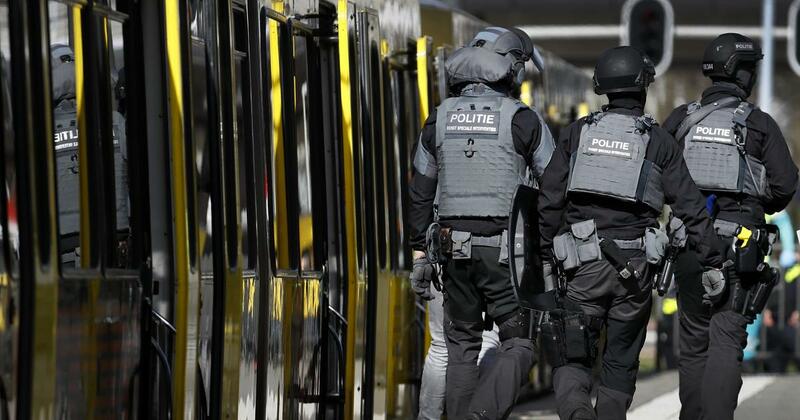 Officials said that hours after the shooting on a tram in the Dutch city of Utrecht on Monday, which killed three people, a suspect was arrested. Police have identified the man as Gökmen Tanis, 37, who was born in Turkey. Justice Minister Ferdinand Grapperhaus said authorities were able to identify the suspect from surveillance footage and the getaway car they believed he used to flee the scene. Grapperhaus also said Tanis has a criminal record. Dutch officials had raised the threat alert to its highest level, 5, after the shooting, which occurred around 10:45 a.m. local time. After the suspect’s arrest, the threat alert level in Utrecht was lowered to 4. Five people were also injured in the attack, and three were in serious condition, authorities said. Mayor Jan van Zanen had previously said that nine people had been hurt, but police later adjusted that number. “We expect a terror motive. Our thoughts are with the next of kin and the witnesses of this horrific event,” the mayor said. Utrecht is home to a large student population and is about 25 miles south of Amsterdam.